ABC’s The Great Christmas Light Fight is casting now for 2016. If you’ve been watching the show, you’ve seen many of our Christmas Expo family compete and a few have even won the $50,000! The producers of The Great Christmas Light Fight are looking right now for over the top displays for their 4th annual televised competition – 24 homes will be chosen to compete for a 1 in 4 chance to win $50,000 and the coveted trophy. If you think you have what it takes, don’t take down your Christmas decorations this year until you’ve taken a video of your display. Once you have your video, go to www.lightfightcasting.com to submit the video and apply to be on the show. You only have a few weeks before the first round of casting ends so don’t delay, apply now! 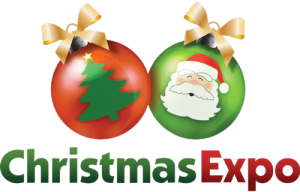 Christmas Expo Holiday Lighting & Decorating Conference will always be held the third week of July from Thursday to Saturday of that week with any pre-show workshops earlier in the week. While locations will change, the dates will allow you to put Expo on your schedule. We know we’ll be there – we ho-ho-hope you will be too!